Wow, lots of tomatoes on the counter and since I found a crab salad recipe that called for a little purée I decided to make a small batch with a few different varieties of tomatoes. Easy and I didn’t peel or seed the tomatoes, basically touch chopped them added salt pepper, 2 small chunked up carrots, a splash of red wine vinegar and an * optional bit of sugar if the tomatoes taste too acidic after simmering down, normally the carrots do the job of sweetening the purée. 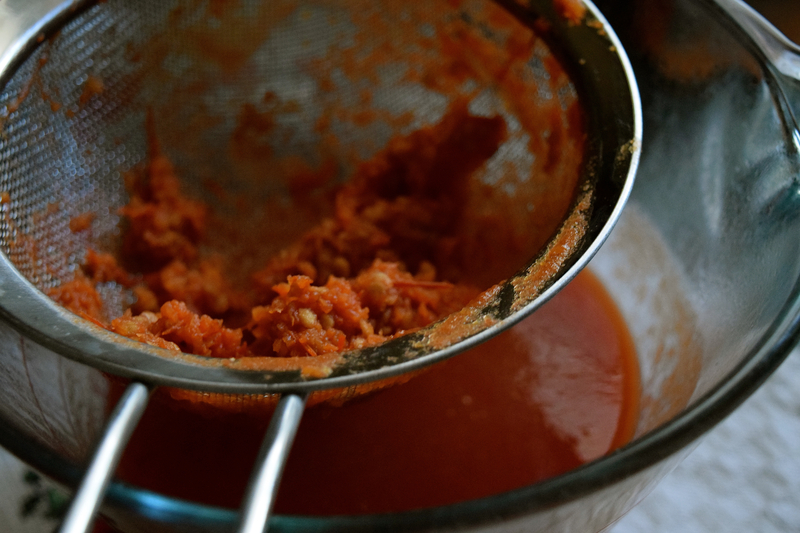 The best part of this batch and many other quick sauces that I make is that I do not peel the skin from the tomatoes and I do not take the seeds out…when the tomatoes have cooked for 30-40 minutes you just use an immersion blender to purée them and strain through a food mill that keeps the seeds and fine skins pieces out. While I love my very pain mayo less crab salad, just pure fresh flavors, I still needed a “dressing” that would hold for a casual appetizer or dinner salad, Carla Hall saved the day and I adapted her recipe to use for my recipe. Now Carla is not one of my go to inspirational chefs, but damn what a great ice-cube cocktail sauce that I am sure the entire world knew about already and I’m sure that there are many similar recipes out there. 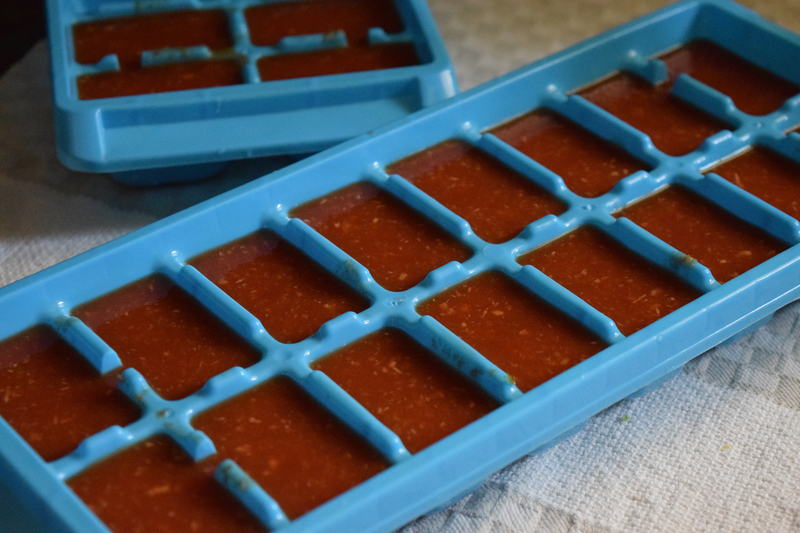 Whisk together and pour into ice-cube trays, freeze. Add 2 cocktail sauce cubes to each 6 pint jar, scoop in crab salad (I used an ice cream scoop), top with lettuce salad and top with a lemon wedge or two. 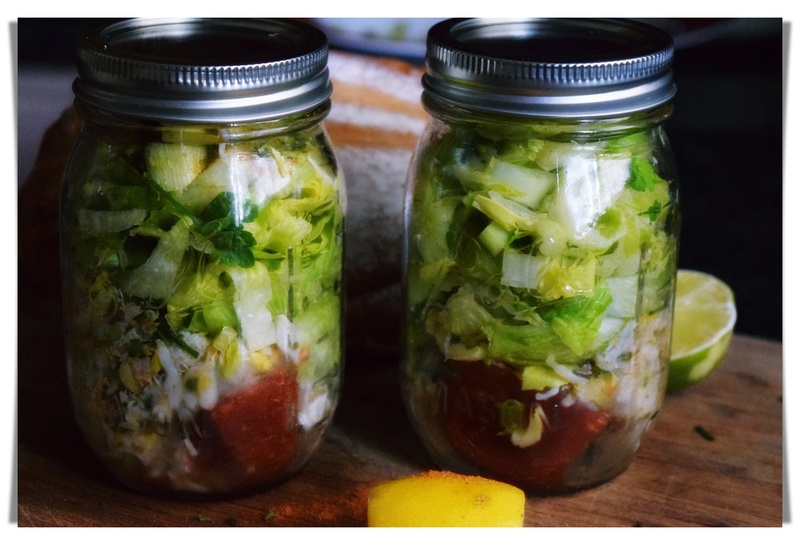 Place lids on jars and refrigerate until serving time. When the cubes have melted just give the jars a shake to distribute dressing. Squeeze lemon over salad, have a party! 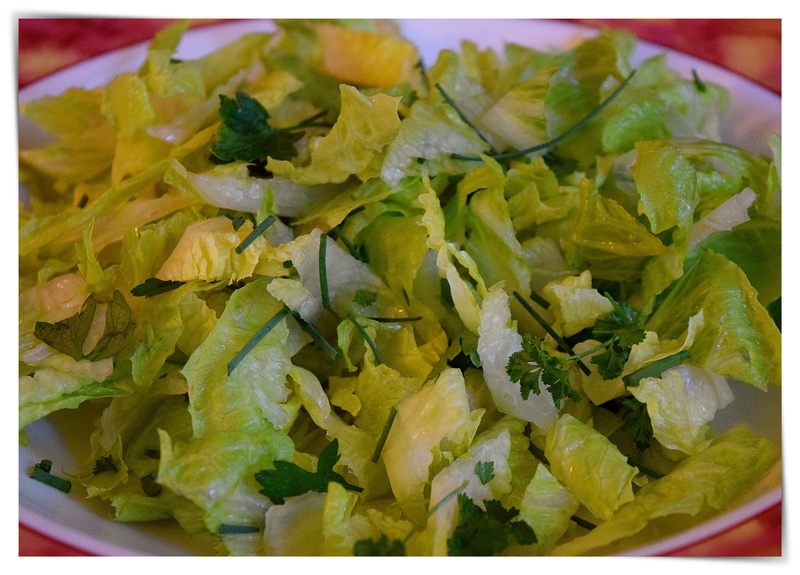 Clean and dry 2 mini heads of romaine or artisan lettuces, gently tear lettuce and toss with more chopped parsley, chives, zest, and toss. Pick over a pound of lump crab meat for and bits of shell, chop small bunch of chives, several sprigs of parsley, tender celery heart and leaves and gently fold into crabmeat. Season with 1/2 teaspoon Phillips or other seafood seasoning of choice freshly ground pepper and salt. Taste and add a bit more seafood seasoning if you like.